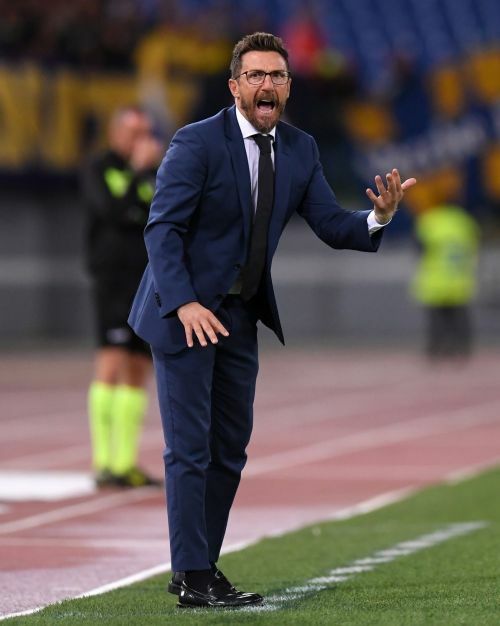 Rome, March 8 (IANS) Roma has fired coach Eusebio Di Francesco after the Italian side's unexpected UEFA Champions League exit at the hands of Porto. Roma squandered a 2-1 win in the February 12 first leg of the Champions League round of 16, losing in the second leg 3-1 on the road on Wednesday. The Italian club, thereby, failed to repeat its last season showing when it made it all the way to the Champions League semifinals after stunning Barcelona in the quarters, only to fall short against last year's eventual second placed team, Liverpool. "AS Roma announced today that head coach Eusebio Di Francesco has left the club with immediate effect," the Serie A team said in a statement on Thursday night. "The club would like to thank Eusebio for his work during his time at AS Roma and wish him success in the future." Di Francesco - who led Roma to win the Serie A title as a player in 2001 just before ending a four-year spell (begun in 1997) with the Romans - took the helm as head coach of the capital team in 2017, reports Efe news. In his first season in charge, he led Roma into the Champions League semifinal for the first time in 34 years, but the club has been struggling since for consistency in Di Francesco's second season. The Champions League defeat was the final nail in his coffin, after taking a humiliating 7-1 defeat by Fiorentina in the Italian Cup semifinal. And while Roma still holds the fifth spot in the Serie A standings with 44 points, the club is three points shy of the top-4. The first four teams in the Serie A table at the end of the season secure a place the following season in the Champions League, while the fifth spot only qualifies for the less-important Europa League. "On behalf of myself and everyone at AS Roma, I would like to thank Eusebio for his work and his commitment," Roma President Jim Pallotta said in a statement. "Since returning to the club, Eusebio has always acted professionally and put the club's needs ahead of his own. We all wish him well for the future," he added. The Italian club did not reveal Di Francesco's replacement, although local media suggested that Italian coach Claudio Ranieri is likely to return to the Roman club which allowed him to make his debut as a player in 1973. Ranieri also coached Roma between 2009 and 2011.